Some soldiers, who survived the attack in Metele have sent a Save - Our - Soul to President Muhammadu Buhari, urging him to probe the quality of weapons procured by the military authorities and save them from further avoidable deaths. 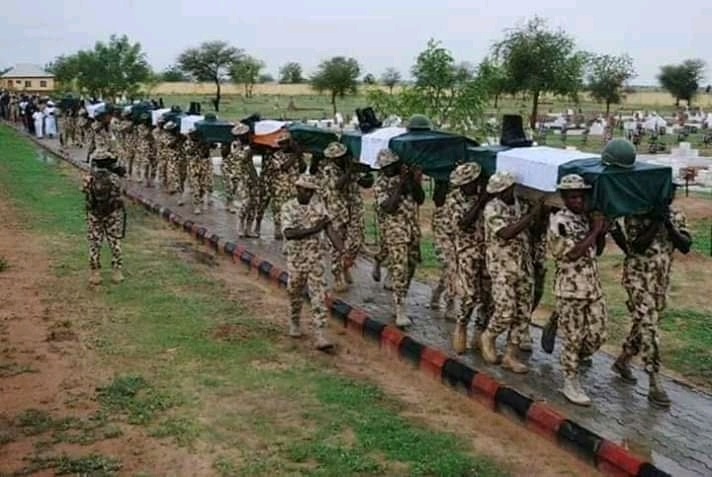 In a video sent to journalists in Maiduguri, the soldiers accused the military authorities of providing them with obsolete weapons, which they said were grossly inadequate to effectively confront the insurgents in the ongoing campaign in the North - East. “They are using us to make money; why? Are we not human beings? They can kill soldiers inside a tank. If Rocket Propelled Grenade can penetrate M -RAG vehicle, what of a fellow human being?